PT Asuransi Jiwa InHealth Indonesia – AJ InHealth or referred to as “Mandiri Inhealth” is a a reputable insurance company in Indonesian withc core business in life and health insurance. 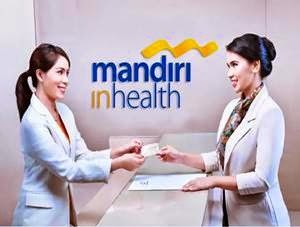 Mandiri InHealth is an insurance subsidiary company of state-owned lender, PT Bank Mandiri (Persero) Tbk (Bank Mandiri Group). As today, 80% of its shares are held by PT Bank Mandiri (Persero) Tbk, 20% by PT Asuransi Jasa Indonesia (Persero), and 20% remaining shares by PT Kimia Farma (Persero) Tbk. Headquartered in Jakarta, Mandiri Inhealth runs its business through 12 marketing offices, 10 operational offices and 50 services offices across Indonesia. Mandiri Inhealth’s head office is located at Plaza Setiabudi, Gedung Setiabudi 2, Lt 5 Suite 505-508 Jl HR Rasuna Said Kav 62, Jakarta 12920. In term of financial performance, Mandiri Inhealth’s performance in 2014 improved over the previous year. According to Mandiri Inhealth’s Annual Report 2014 as cited by JobsCDC.com, Mandiri Inhealth booked total assets of Rp 1,779.15 billion in the end of 2014, which increased 16.33% from Rp 1,529.36 billion in 2013. Total net profit continue to grow by 69.04% to Rp 202.72 billion from Rp 119.91 billion in 2013. Able to work in a team/individually. Willing to be placed in Karawang, Purwakarta and Bogor.